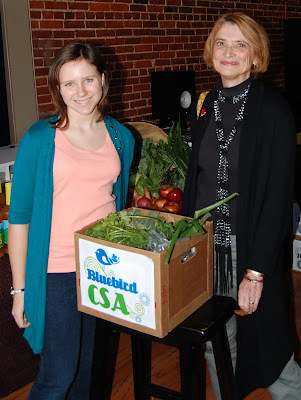 My mom and I recently picked up a CSA vegetable box and we were able to meet Camille Ronay. Camille's website, www.GeorgiaMadeGrown.com, shows people how Georgia made products and produce are special. 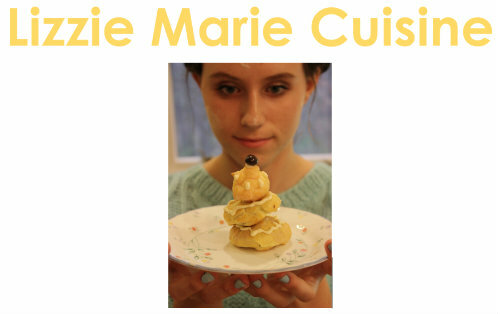 I had the chance to ask her a few questions about her website. LL: I'm here with Camille Ronay. Would you mind telling us what you do for Georgia? CR: I started Georgia Made Georgia Grown LLC about five years ago. For a couple years I consulted with the Georgia Department of Economic Development and helped create their Creative Economies Initiative. Since the beginning, Georgia Made Georgia Grown has worked to tie creative entrepreneurship, economic development and tourism together. Georgia Made Georgia Grown works with creative entrepreneurs all over the state helping them market and promote themselves. We offer professional development workshops, venues to wholesale and retail product lines, and tourism product development. LL: That's great! Why do you do this? CR: Because I feel as if there are so many creative entrepreneurs within the state of Georgia who are artists, or craft makers, chefs, entertainers. We try to be a bridge in getting them into a better portion of the marketplace. LL: Thanks for talking with me. Camille shares one of her favorite recipes, Spinach Salad, which she has at least three times a week. One of Camille's healthy tips is to substitute fresh spinach leaves in place of lettuce in sandwiches. Every time we get a CSA veggie box, I always get really excited about seeing what vegetables are inside. This week we got a lot of delicious vegetables, including a purple basil plant! I'm not very good at gardening, so I hope I'll be able to keep this plant alive! The purple basil still smells and tastes like regular basil, but it has an eggplant color. My mom and I decided to make Mediterranean potato salad with the potatoes that came on our box. The potato salad is Mediterranean because it has hard-boiled egg, feta cheese, fresh dill and oregano as well as olive oil instead of mayonnaise, and red wine vinegar. It's really delicious! I love finding new ways to exercise, because running on the treadmill or lifting a set of weights isn't very exciting. A fun way I exercise is by doing archery. Archery really engages your upper body. You need to have a lot of strength to be able to hold the bow (mine weighs 25 pounds) and be able to pull back the string. I really enjoy archery because, frankly, I'm pretty clumsy. Strangely enough, I do have fairly good hand-eye-coordination, so I'm pretty good at archery, volleyball etc. Another fun way to exercise is to go hiking. I love hiking because you can go early in the morning, hike and be back before noon. My dad and I recently started hiking Kennesaw Mountain. Each week we set new goals for getting to the top. Last week we climbed up the mountain in 25 minutes, and we took 2 breaks. This week my dad and I climbed up the mountain in 22 minutes and only stopped 1 time. You feel very accomplished (and tired) once you reach the top of the mountain. Hope I've helped your exercise become that much more fun! spinach + berries is such a natural combo. pretty too! I agree, spinach and berries are also great juiced together! Perfect summertime breakfast.